Samsung Electronics today announced the research findings from teachers and 3,000 pupils across the UK who have participated in its Digital Classroom programme over the past three years. Samsung has been supporting education as a global cause since 2013 and the Digital Classroom initiative was launched in order to explore the impact technology has on teaching and learning, helping to address the digital skills gap in the UK. Feedback from the schools participating in the programme reveals that pupils demonstrated high engagement with lessons, were more motivated and showed marked improvement in grade attainment. Teacher confidence also improved and teaching practices changed over time, with children increasingly able to work independently and collaboratively. 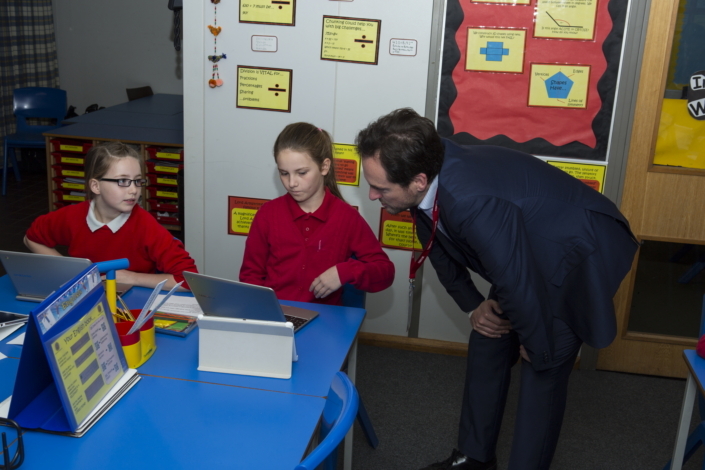 The three-year initiative has involved establishing Digital Classrooms in 15 primary schools in challenging circumstances across the UK. Students and teachers were equipped with a suite of classroom technology including tablets, Chromebooks, laptops and an interactive whiteboard, as well as providing key training for teachers and ongoing technical support, to create an enhanced learning environment. 89% of pupils believe that the equipment helped them to learn new digital skills, with 81% now finding it easier to do a variety of tasks on computers and 79% saying they work better with their classmates. Pupils confidence increased, with nearly 9 in 10 (88%) saying they felt more equipped for their next academic years of study. The Digital Classroom also had a disproportionality positive effect on children who needed extra support and motivation. Teachers reported that the Digital Classroom increased flexibility, gave them the capacity to differentiate learning and made lessons far more inclusive. By making work more attractive, this served to boost pupils’ independence, confidence and pride. The use of reading apps has helped children with dyslexia feel equal in the classroom while translation tools have helped those for whom English is a second language. Bede Community Primary School, in Gateshead, Newcastle, is one of the schools which was selected to become a part of the Digital Classroom programme. Three years on since launching the classroom, teachers have been amazed with how the technology has transformed their lessons. Discover the Samsung Digital Classroom at a glance below!